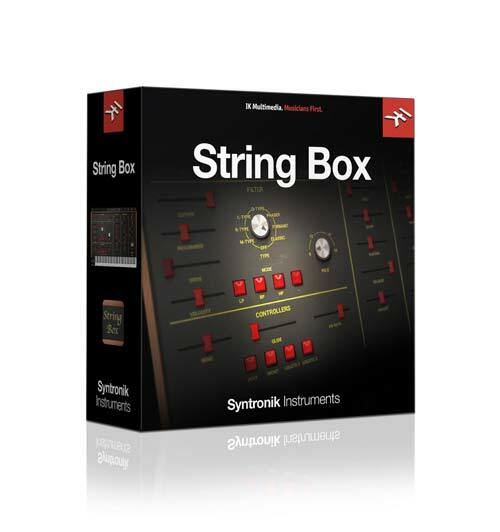 Syntronik’s String Box offers a collection of classic string machines including the Arp String Ensemble, Elka Rhapsody, Hohner String Performer, Roland RS-505 and RS-09. 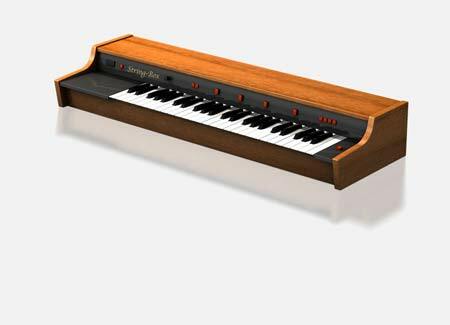 Manufactured from 1974-1981, the ARP String Ensemble uses divide-down organ technology to provide full polyphony. The String Ensemble has 6 instrument sounds that can be combined. 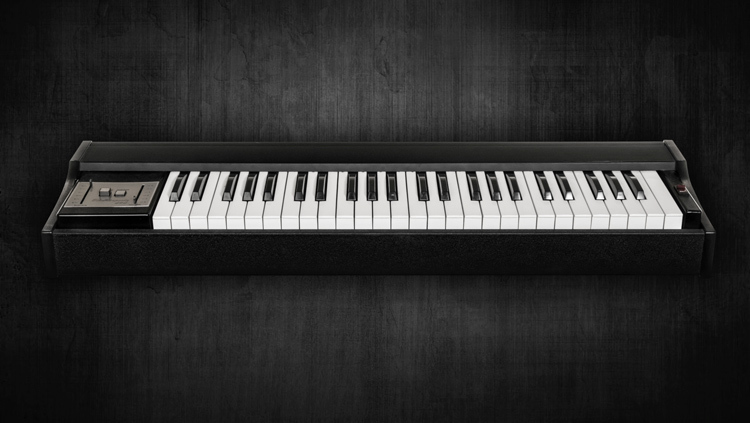 But its most distinctive element is its ensemble chorus that provides its lush, trademark sound. In addition to providing samples of the String Ensemble both with and without its ensemble chorus, Syntronik models the actual ensemble chorus effect so that it can be used on any sound in the library. Manufacted from 1974-1980 by the Italian company, Elka, the Rhapsody 490 was primarily a string machine, but it also provided piano and clavichord sounds. Syntronik focuses on the string sounds: Violin-cello and Strings, the latter providing a larger ensemble sound. The Rhapsody sound is unique with a tone all its own and a valued string machine in any aficionado’s collection. 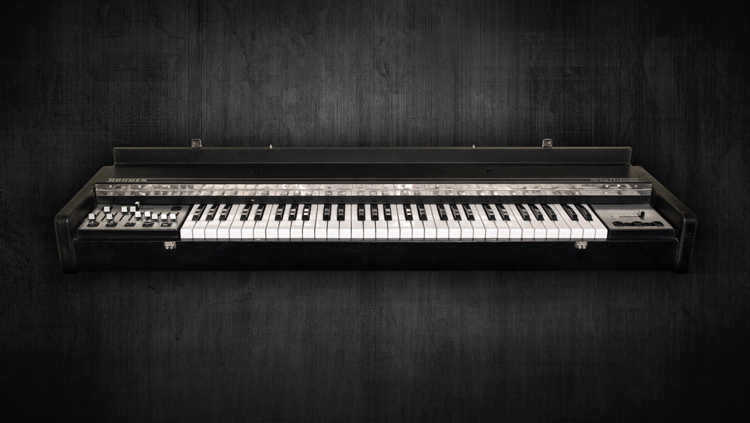 Manufactured from 1977 – 1982, the Hohner String Performer provides both a fully-polyphonic section with string, brass, woodwind and keyboard sounds plus a monophonic solo section containing fixed, built-in vibrato with string, wind and brass sounds along with the synthi-sounding “Planet” preset. The String Performer is another standout in the family of string machines with a unique tonality and personality that separates it from its siblings. 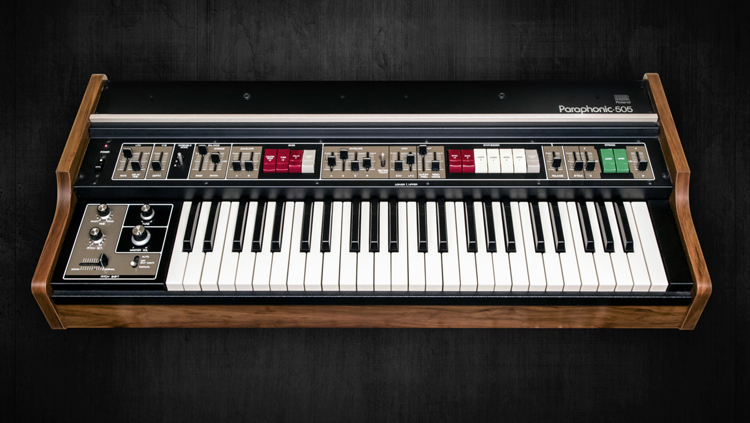 Manufactured from 1978—1979, the RS-505 is the king of the Roland string machines. It combines a string machine with separate bass controls with a simple synthesizer section with one sweepable low pass filter. This is where the term, “paraphonic,” comes in. 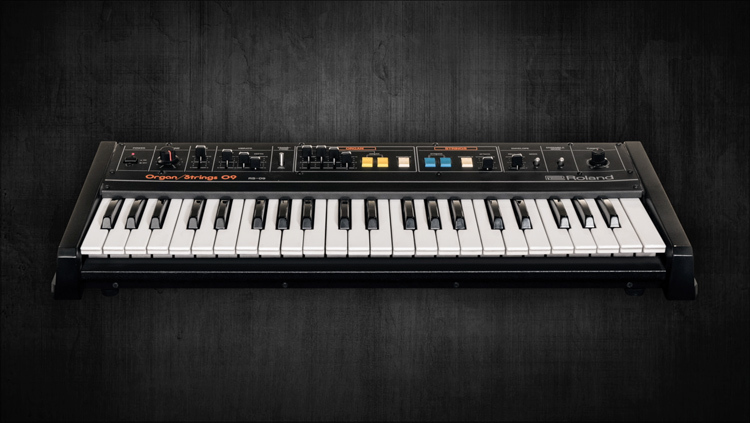 A standout feature on the RS-505 is its ensemble chorus, a classic sound that would grace many Roland products for the next decade including the Juno-60 and Super JX synths. Manufactured from 1979—1980, the RS-09 is an inexpensive string machine that has two sections: “Organ” with 4 sliders set at traditional organ pipe lengths and “Strings” with two octaves available to use individually or simultaneously. The Organ and Strings sections can all play simultaneously. But the most striking feature of the RS-09 is its classic Roland ensemble chorus effect that adds dimension and animation to otherwise fairly simple sound. Famous users of these machines were Elton John, Jean Michel Jarre, Pink Floyd, The Cure, Joy Division, Vangelis, Supertramp, Klaus Schulze, Tangerine Dream, Tony Banks and many others.